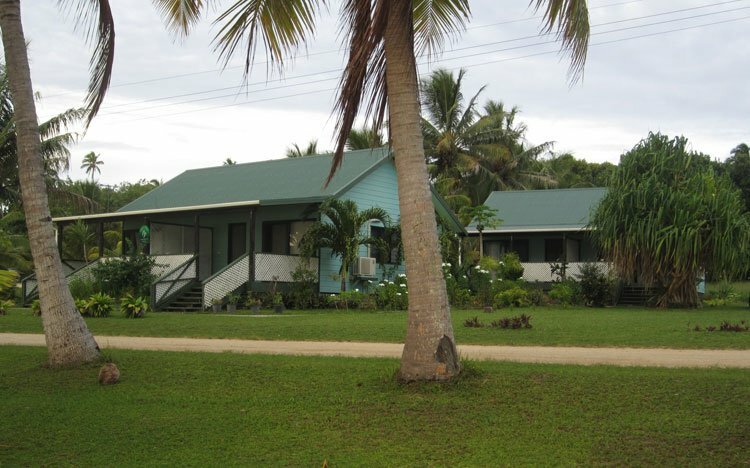 Petero’s Place is a beachside duplex with four bungalows near the Aitutaki lagoon edge, in an unspoilt area of the south western side of the island. With your very own beach paradise, you can be certain to have a peaceful and relaxing holiday. We provide good, clean and quality accommodation. We believe in doing everything we can to make your stay comfortable and memorable. When you arrive in Aitutaki (fly in from Rarotonga), we can provide airport transfer at $20 per person. As part of our service to you, we are able to organize a rental car or scooter to be delivered to the airport or to Petero’s Place should you require one. Mathilda is the caretaker of Petero’s who will meet you upon arrival at Petero’s with her natural beautiful smile – and see that you are settled in and she will take care of you and make you feel like you are at a home away from home, during your stay at Petero’s. If you would like a lagoon adventure, we can organize fishing within the lagoon, deep- sea fishing and rental vehicle. Imagine watching the sunset on the verandah with a beer or glass of wine, or cup of tea. 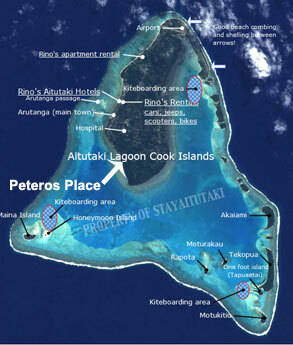 Or catching a cruise across to Maina on the yellowboat, or Teking Cruises – 10 seconds walk from Petero’s.